It’s been a whirlwind year since we joined forces with the team at Rethink Robotics to bring our friend Baxter (and more Baxters after that) to Standby Screw. It’s been nothing but a privilege and a blessing when it comes to our S.C.O.R.E. mentality to have robots working alongside us. We’re proud to be one of the first companies in Ohio (there’s only a little over 20 companies now) to benefit from Rethink Robotics’ technology. Thank you to Crain’s Cleveland Business for featuring us and allowing us to represent Ohio and thank you to Rethink Robotics for being a tremendous team to work with. 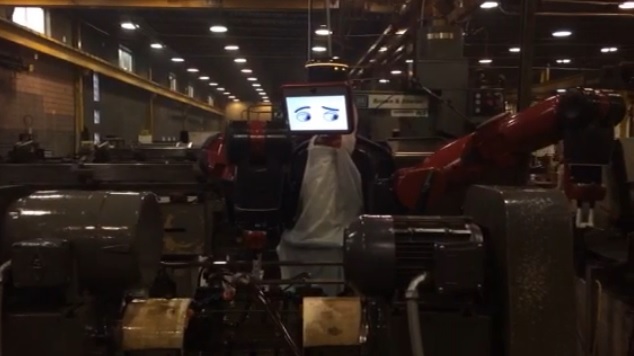 Read the entire Crain’s Cleveland article, here and watch the video of Baxter in-action at our facility!